This project Movie Ticket Booking System has been developed on PHP and MySQL. There are two types of users, first one is admin, second one is customer. 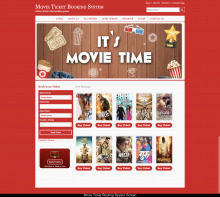 In this project the admin can manage movie, movie type, movie language, movie booking etc. Customer can manage booking, payment, booking list, movie trailor etc. We provide full php online projects with source code. Here students can search web application php project titles list and get easily download free php projects with source code and database. Here student can search and php project free download with full source code. 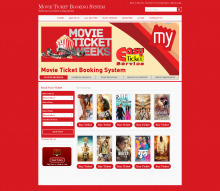 This project Movie Ticket Booking System has been developed on PHP and MySQL. Our website Freeprojectz.com contains free download php projects including fully working source code and database. 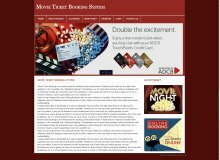 Movie Ticket Booking System is an Internet based application that can be accesses throughout the Net and can be accessed by anyone who has a net connection. This application will automate the reservation of tickets and Enquiries about availability of the tickets.